ministers of the Adopt a Minister Program couldn’t contain their joy; they called their fellow ministerial graduates and shared with them my e-mail address. E-mails of applications started pouring in. Around a dozen each week. 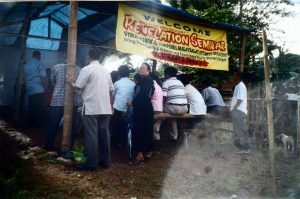 The e-mails expressed relief, excitement, hope, for finally God had heard their prayers. Most had been waiting for placement for a long time, even as long as seven to ten years. Several had been waiting for three to five years. Many were new graduates. Many wrote about their dreams to be ministers since childhood. They expressed their exciting but tough and challenging years in Theology School. The majority worked their way through school—as security guards, drivers, gardeners, literature evangelists, and other jobs. They talked about their joy to finally graduate, many after 6 to 8 grueling years. But nothing and no one had prepared them for the big disappointment they would face when they marched to the Mission Offices ready to take on the big responsibility as ministers. There were no funds to employ them! And the missions weren’t hiring! They were told to find churches that could support them. They went to find bigger churches that might hire them, but those churches already have their own ministerial graduate. There were many smaller churches, but they couldn’t support them financially. Many became quite depressed. With heavy hearts they went home, full of despair. Why did God allow this to happen? Many left their calling and found secular jobs. 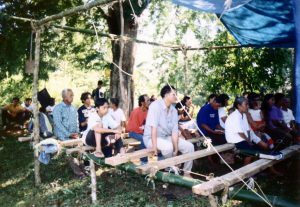 The hundreds who remained volunteered their services in area churches because of their love for God’s work. The poor brethren paid their earnest work in kind: a sack of rice or vegetables or free lodging. They pleaded in their e-mails that I find sponsors for them. But due to a short supply of sponsors, I told everyone to pray for God to send more help. During the long two to five months-wait, they continued to e-mail to me. They’re happy for now they have a glimmer of hope. Their Heavenly Father had sent help through the “Adopt a Minister” Program. After weeks and months of everyone petitioning the Lord, sponsors started to trickle in. One by one I called the applicants in my ever-growing waiting list. I wish I could have recorded our conversations on the phone. 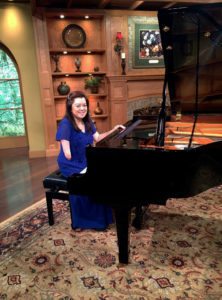 The majority of their responses were chuckles, never-ending “thank you’s” and many praises to God. Somehow they knew the calls were from U.S. A few times their wives answered my call and were quite polite and pleaded for me to wait as they called their husbands. Those who had to wait for many months responded with total humility, almost in shock upon hearing my voice for the first time. There are still hundreds of them waiting to be adopted, including those graduating in March. I pray the Holy Spirit will move you to adopt one (or more) for $125 a month. Today many have assignments far away from their families. Sometimes even two days travel. Many of them work in Muslim areas where their safety depends only on the Lord. Many are in charge of several churches, even as many as 20 churches, which take so much of their time. The majority of the churches are in the poorest of conditions. 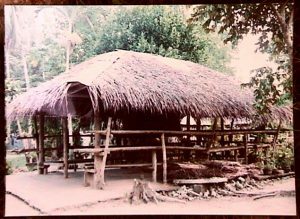 Most are just bare structures with leaking roofs and bamboo benches. Here are some of the pictures they’ve sent to me. 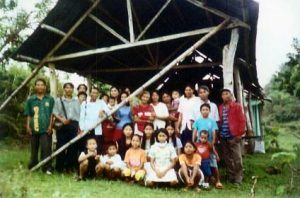 I wish we could help build churches for the brethren there. A $2,000 church is already good. 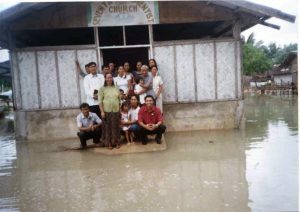 How would you like to invest your money into a church in the Philippines. The ministers wish to build churches for their brethren.